Well, after annexing the Golf Course only a few days ago specifically in order to add Nuthatch and stand a better chance of Great Crested Grebe, there was a certain inevitability about what would happen this morning in Wanstead Park. This was the first time I had been on the patch since the declaration, and only 30 minutes into the birding day I heard a Nuthatch singing in Warren Wood, and then picked up two Great Crested Grebes on the Perch Pond. 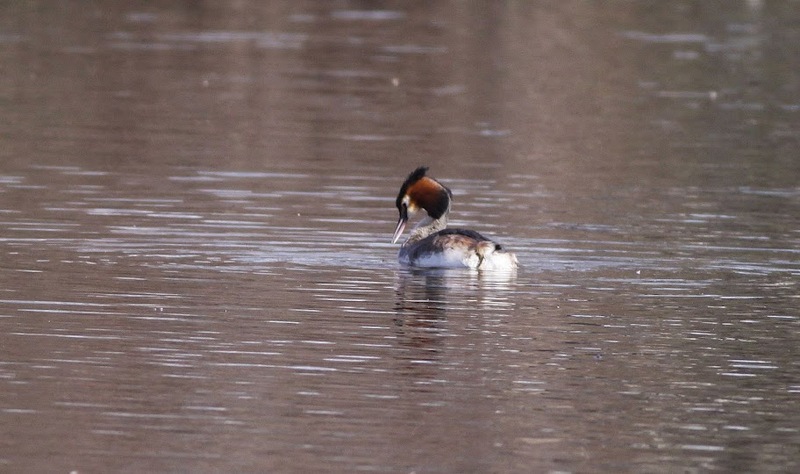 This is of course infinitely more Great Crested Grebes than I have seen on the patch in 2009, and in fact double the number of Great Crested Grebes I have ever seen in one outing. Perhaps this is the answer to getting a decent patch list? For instance, if I annexed Thetford Forest tonight, might I get a Gos displaying on the patch by Thursday?